Numerous scholarships and grants are offered through the Elks. Two of these, the Most Valuable Student Scholarships, have recently been awarded. 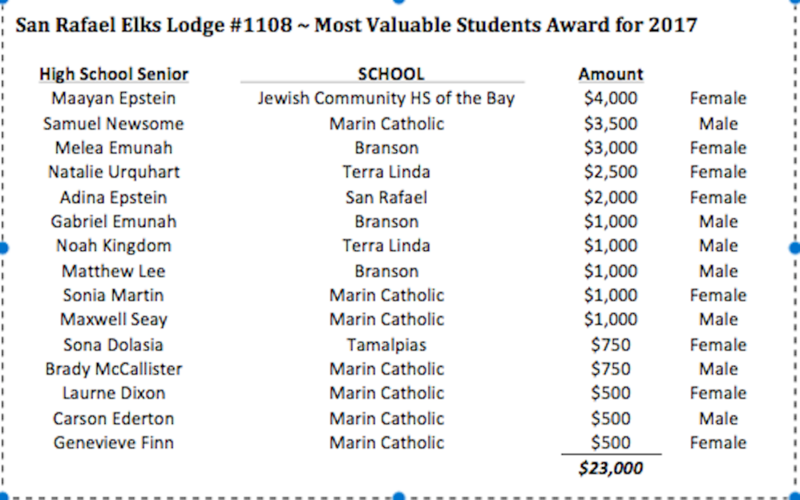 $23,000: San Rafael Elks Lodge awarded $23,000 in collage scholarships to local youth. The top three girls and three boys then compete for additional scholarships and the chance to advance to the state and national scholarship competitions. If successful, the following is the national scholarships awarded by Elks National Foundation. $2.44 Million: The Elks National Foundation awarded 500 scholarships ranging from $4,000 to $50,000 for a total of $2.44 million in scholarships. Zoi Urban and Colin Kalispeli are each taking home the two top $50,000 scholarships. 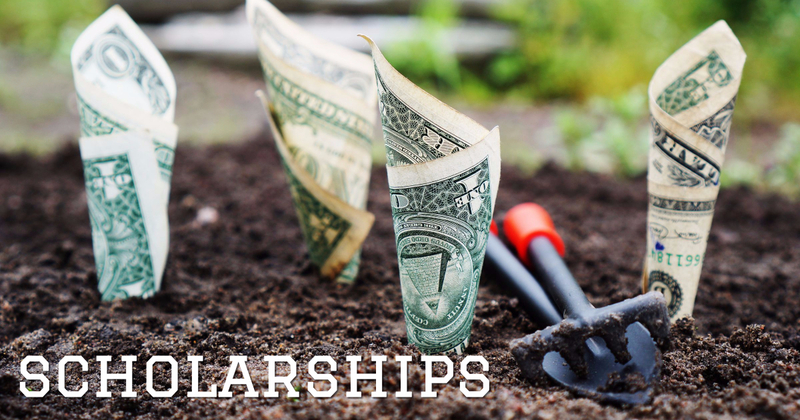 Additional scholarships awarded are two second-place awards of $40,000; and two third-place awards of $30,000. The remaining 14 finalists will receive awards of $20,000. The 480 runners-up will receive fifth-place scholarships of $4,000.